Conservative and Liberal Democrat MPs have raised concerns over government plans to “reform” the system of higher education support for disabled students. The disabled Tory MP Paul Maynard was among coalition MPs who questioned the plans to focus disabled students’ allowance (DSA) on those with the highest support needs. The government intends to restrict those eligible to receive laptops and computers, while non-medical support like note-taking will no longer be covered by DSA, shifting greater responsibility onto institutions. And DSA – non-means-tested grants that assist with the extra costs a disabled student faces during higher education study – will no longer cover the extra costs of “specialist” accommodation, other than in “exceptional circumstances”. Maynard, who himself benefitted from DSA as a student, said he had “concerns” about the details of the government’s proposals because “great strides have been made in increasing disabled students’ participation in higher education”. 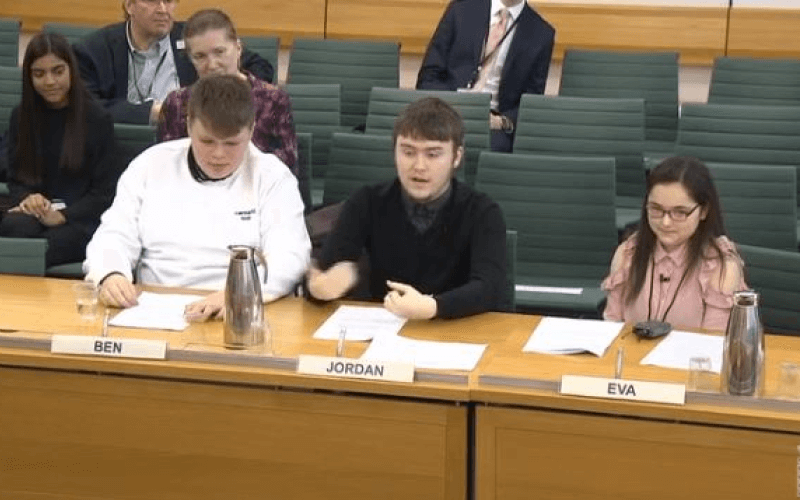 A report by Trailblazers, the Muscular Dystrophy Campaign’s network of young disabled campaigners, a key member of his all-party group on young disabled people, stressed that DSA “was the area of the university experience that worked best”, he added. About £125 million was spent on DSAs in 2011-12, but the government has so far refused to say by how much it plans to cut the DSA budget. Maynard’s fellow Conservative MP Jason McCartney was another to say he was “concerned” about the planned reforms. The disabled Labour MP and former home secretary David Blunkett said the government’s reforms were clearly driven by the desire of the Department for Business, Innovation and Skills to cut £117 million from its budget. The disabled Liberal Democrat MP Stephen Lloyd said DSA was vital in paying for note-takers for profoundly deaf students. Dr Julian Huppert, the Liberal Democrat MP who secured the debate, said: “There is a risk that the reforms could deter institutions from actively recruiting disabled students, because if the institutions are responsible for paying the extra costs, there will be an incentive not to take people who will be a bit more expensive. He said that one survey found that more than one third of disabled students would not have attended university without DSA and that about the same proportion would be more likely to drop out without it. The Labour MP Emma Lewell-Buck, who herself has dyslexia and dyspraxia, warned there was a threat that students with moderate needs would be “locked out of higher education”. Kate Green, Labour’s shadow minister for disabled people, said access was a key factor for disabled students in selecting a university, so the changes could further restrict their choice if universities that offered the course they wanted to study were “not supportive with access and in facilitating their studies”. David Willetts, the Conservative universities minister, said funding for universities for teaching was increasing from £7.9 billion in 2010-11 to £9.9 billion by 2015-16 as a result of the trebling of tuition fees. He said DSA was not being abolished and there would “continue to be significant DSA in future”. Willetts said: “The [DSA] budget has increased from about £88 million when we came to office to about £125 million now, so it is legitimate to look at it. However, we do not have a specific allocated figure. “Students are right to expect support from their higher education institution, and DSA has been available to complement that support for nearly 25 years. Earlier this week, answering a written question from Blunkett, Willetts said there were “no plans to transfer additional funds” to universities as a result of the reforms. Meanwhile, a study by the Higher Education Funding Council for England, on behalf of the UK’s higher education funding bodies, found that disabled students were less likely to be satisfied with their university experience than non-disabled students. In 2013, final-year disabled students were 2.5 percentage points less satisfied than non-disabled students.